Bvdub - Explosions in Slow Motion. Vinyl LP. Bleep. The prolific bvdub returns to n5MD (Tangent, Mark Harris) with new LP Explosions In Slow Motion. 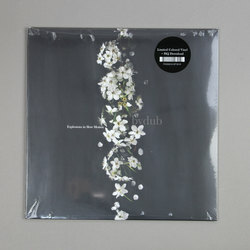 As is often the case with the records Brock Van Wey produces as bvdub, Explosions In Slow Motion is a grandiose affair. Take the four ‘Ember’ vignettes here, huge post-rockish ambiences in which reverb-drenched strings fall over one another with stately melancholy. It’s a sound that brings to mind a sort of stretched-out version of Olafur Arnalds or Jonsi.